From one-bay shops to high-volume tire stores, our wheel balancers are built for the job. They will automatically calculate the exact weight needed to achieve an optimal balance for almost every tire and wheel configuration. Our entry-level DST64T delivers some of the fastest floor-to-floor times in the industry and features the industry’s best balancing technology. Our Ranger DST2420 wheel balancer can handle wheels up to 30” diameter. And, our RB24T wheel balancer can deliver a fast start-up and real fast braking speeds while handling tires up to 50 inches in diameter and 20 inches wide.  Our wheel balancing machines are always on sale here at ASE deals. Corghi Model EM7240DD Electronic Wheel Balancer with Microprocessor For off-vehicle balancing of car, van and motorcycles. Version with automatic entry of wheel diameter and distance. CEMB EZ29 Portable Digital Wheel Balancer for Cars and Light Trucks Portable wheel balancer for cars and light trucks, hand spin with automatic input of distance and diameter 2D and pedal brake. Consider our computerized wheel balancers if you are thinking about purchasing a tire machine. Because the full impact of truly accurate wheel balance work on vehicle performance and customer satisfaction should never be overstated. As a tire balancer, our computerized balancers can dependably assure accurate results to within hundredths of an ounce. Besides being extremely accurate, they offer reliable vibration free results, and built with durable toughness that continues to produce perfectly balanced wheels every single day. Choose from CEMB, Ranger, Corghi and ASEplatinum computer spin balancing machines.